Today The Tank Museum announces the launch of its latest exhibition, ‘Fury’, sponsored generously by Wargaming. 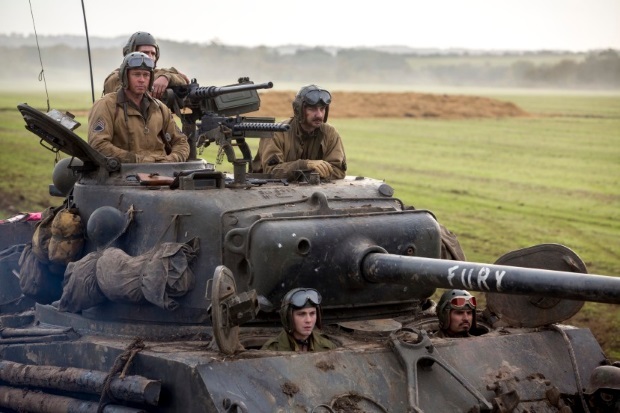 Opening its turret doors on the 20th of October, the exhibition tells the story of the museum’s integral involvement with the making of David Ayer’s visionary film, Fury, which bursts onto cinema screens across the UK on the 22nd of October. The movie casts two of The Tank Museum’s exhibits: the world’s only working Tiger 131 tank and the eponymous Fury Sherman M4 tank, in a tale of overwhelming odds deep behind enemy lines in the last days of the Second World War. Taking center stage in the ‘Fury’ exhibition will be the film’s armour plated star, the Sherman M4, alongside imagery and footage directly from the film. Other attractions include uniforms from the film worn by some of the stars, and numerous props straight from the set, all kindly donated by Norman Productions. “Wargaming has a long history of collaboration with The Bovington Tank Museum, we sponsored the building of a classroom in the museum, we also contributed to the restoration of the museum’s collections and now we are extremely proud to be working with the museum again, sponsoring the making of this new exciting Fury exhibition, which is a perfect match to our game World of Tanks, said Rinaldo Andreolli, General Manager Wargaming Europe. To celebrate and acknowledge Wargaming’s continued support of The Tank Museum, the ‘Fury’ exhibition will also host various gaming stations where visitors will be invited to play World of Tanks. Using in-game tanks modeled on the armoured vehicles from the film, players will be able to clash against each other to recreate the very battles Wardaddy and his troops fight in the film within the Wargaming universe. This will be further supported by a video which intersperses film footage from Fury, with Wargaming’s tanks in-game to form a thrilling montage, overlaid with commentary by Richard Cutland, UK Historical Consultant at Wargaming. The ‘Fury’ exhibition will open on the 20th of October at The Tank Museum, Bovington, and is scheduled to run until the end of 2015. Hunting season is upon us again, and it's time to gear up and head to the idyllic German farmlands of Hirschfelden and other locales. Digimon Masters releases a new mode for Belphemon, continues special sales offers and a recruit a friend event.